Delving into the world of Seen/Unseen was not only experienced on the TEDxUbud stage but also in the experiences curated for attendees outside. With the help of one of Ubud's most talented ogoh ogoh designers, we created The Eye, which doubled as a giant lantern to help attendees see better at night. With a different perspective on the theme, we were honored to have speaker and artist Daniel Connell create three portraits of 'everyday' people for the event. Daniel draws portraits of people who are often 'unseen' and unsung in our communities. Each portrait is signed by both the artist and his subject. We were honored to also have Noel Klavert join our event. 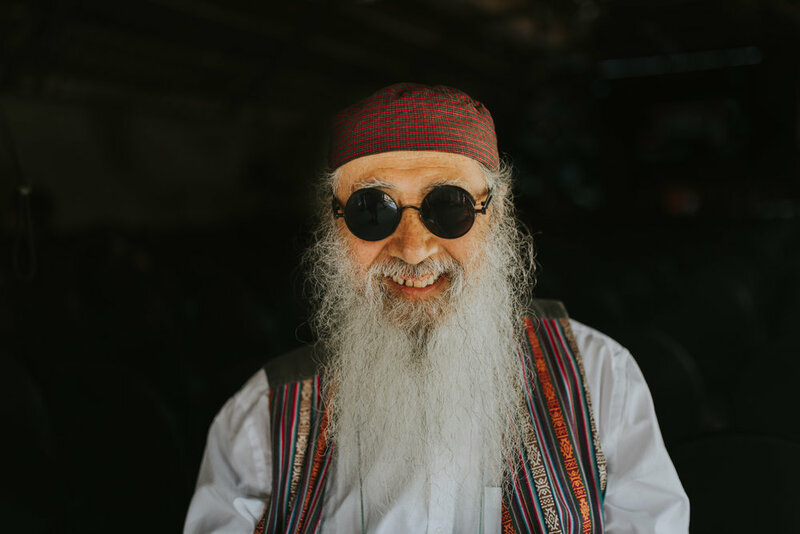 Noel became fully blind 18 years ago but continues to take photos, often activating his other senses to guide his framing and understanding of the subject. This was the first public showing of Noel's work. He hopes to raise awareness of blindness in children in Indonesia through his photos. The creative folk over at Make a Scene! had two beautiful installations for attendees. 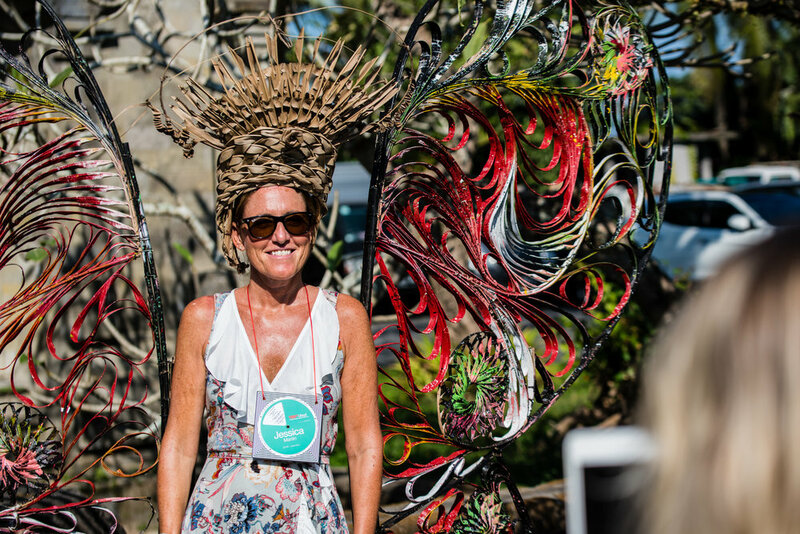 The handwoven butterfly wings and biodegradable headresses modeled on traditional Balinese headwear for ceremonial purposes. Seen one day and gone the next. A traditional Balinese healer from Desa Visesa was on hand to introduce attendees to the art of traditional Balinese healing. It was an opportunity for people to experience just part of Bali's understanding of the unseen forces at work. Sight is just one of the 5 senses. Attendees were able to exercise their sense of smell by making their own candle to take home with essential Balinese oils from Utama Spice. We always have our TEDxUbud photographers roaming to catch the special moments, but this year it was with a twist. Krisna Dewa Putra created his own mobile macrophotography lens and brought it along to the day to capture the finder details that might other go unseen. 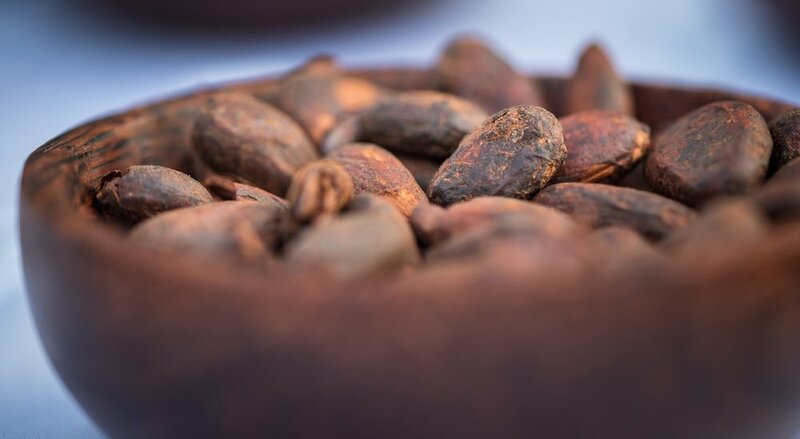 He even captured a fantastic image of cacao beans- part of the Farmer to Bean display showing us exactly how the chocolate we love is created.